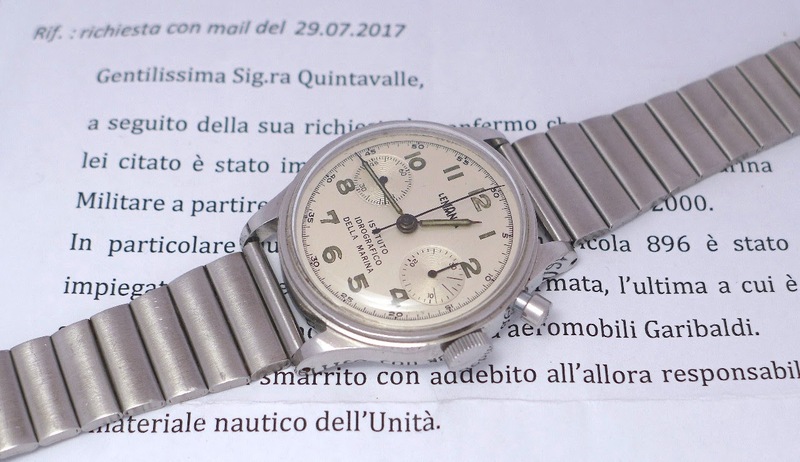 Horological Meandering - My first encounter with the Lemania Istituto Idrografico della Marina Italiana Chronograph. 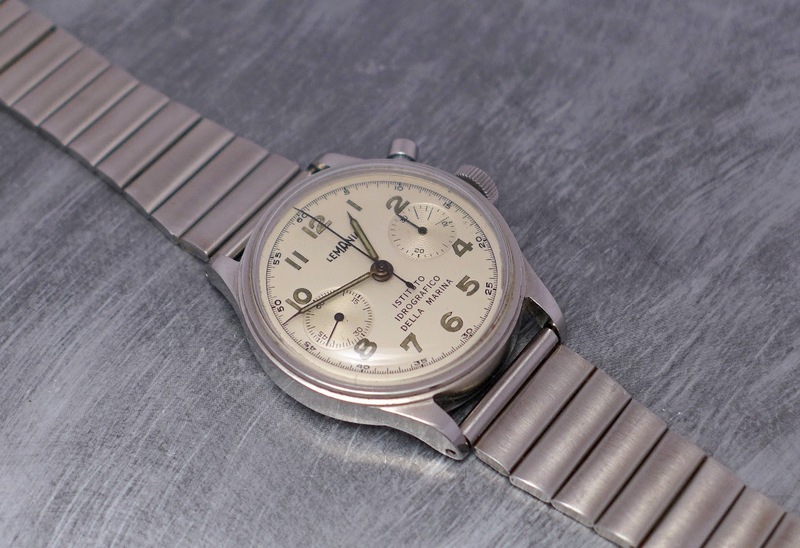 My first encounter with the Lemania Istituto Idrografico della Marina Italiana Chronograph. The Lemania Istituto Idrografico della Marina Italiana Chronograph is a watch I always wanted to see in the metal. I saw only a few on pictures, I hunted it, too, but I never came across one. During a lunch, a new friend of mine, knowing my interest for that Lemania, brought it with him. There are not many things on the net about that watch. 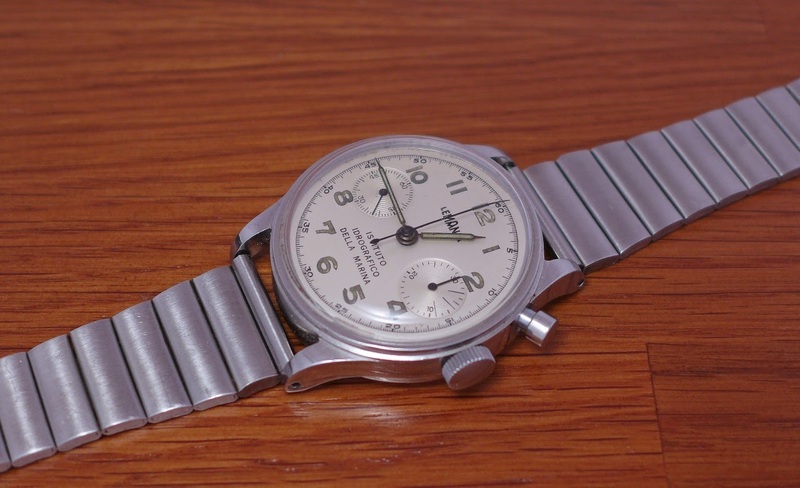 I will dig the topic a bit more, and try to find something more interesting, but it is a fact this is a watch the Italian Marine used from the 40's to the 50's. It is also said that circa 1000 were issue to the Italian Marine. The size? 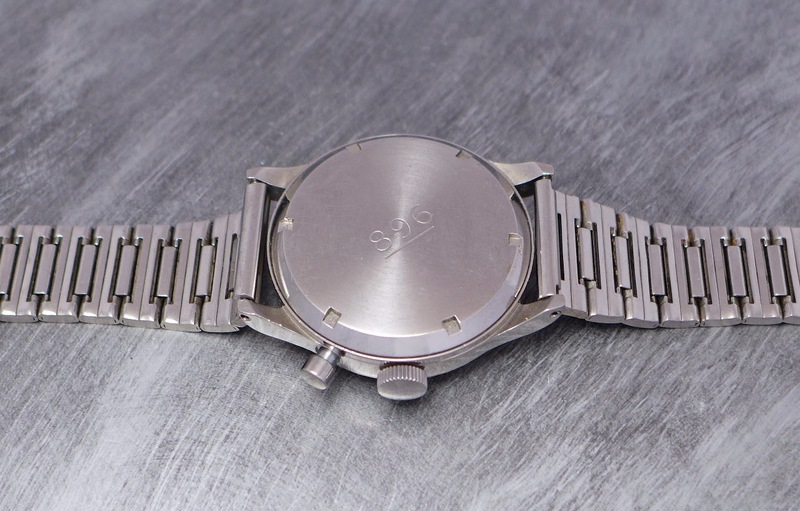 38 mm, which is perfect for me. Thanks to him to let me take pictures of this Lemania Beauty. Or, he could sell it to me?